Scots are binning 1.35m tonnes of food and drink a year. More than one million tonnes of food and drink is being binned across Scotland every year, official figures show. A new report from Zero Waste Scotland reveals 1.35 million tonnes of food and drink went to waste from homes and businesses north of the border in 2013. The statistics are the most detailed yet and will be used as the baseline for the Scottish Government’s goal to cut avoidable food waste by a third by 2025. The majority of total food waste is from the commercial and industrial sector. Households account for 44 per cent. The study found 60 per cent of household food waste was “avoidable”, consisting of items that could have been eaten if they had been managed differently on their journey through the home. The annual bill for food that ended up thrown away came to £1.1 billion, which breaks down as £460 each for the average household. Food and drink production is a key contributor to the Scottish economy, bringing in £14.4 billion a year. But it also has a major impact on the environment, accounting for a fifth of the nation’s carbon footprint. Scottish environment minister Roseanna Cunningham has admitted meeting the 33 per cent reduction target will be a “big job” but says it would be a “win-win” for the people, the country and the planet. “By cutting waste you’re saving money and helping fight climate change,” she said. “One of the ways you can tackle it is to be cannier about what you buy and how you buy it, just reducing the amount of stuff that ends up wasted. Scotland achieved its 2020 target, to reduce greenhouse gas emissions by 42 per cent, in 2014. But the cabinet secretary believes much more can be done and everyone in Scotland has a part to play. “It’s a stretching target so we will have to work hard at it,£ she added. “There needs to be responsibility at every stage in the process. Householders can’t do this on their own. 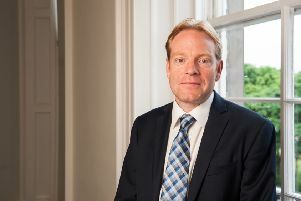 Iain Gulland, chief executive of Zero Waste Scotland, said: “Our research shows for the first time the true scale of the challenge we face to achieve Scotland’s ambitious food waste reduction target – but it’s one we are determined to take on together.